In the last couple of years layering with longline silhouettes has become quite popular. From Minimalistic to Boho, depending on the season, this style can be found in many variations. 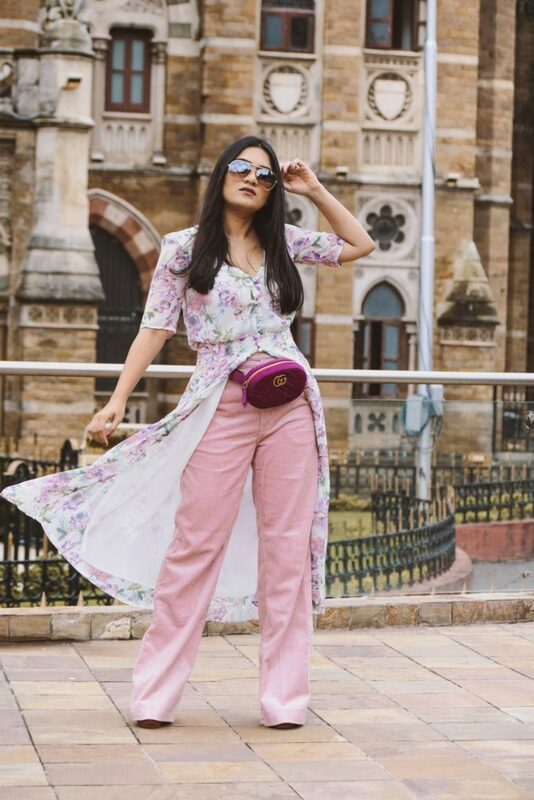 Other than the quintessential trench coat and long winter coats, a lot of unique styles have come to the forefront for example a kimono jacket or kimono blazer, Long Capes, Pajama blazer, oversized jackets, long dresses. 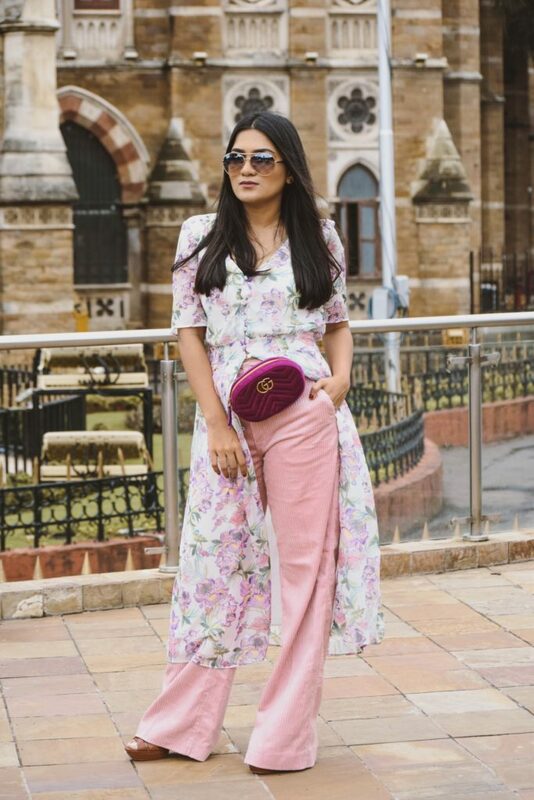 One such pairing which has stayed with me ever since the trend hit is dresses over pants. 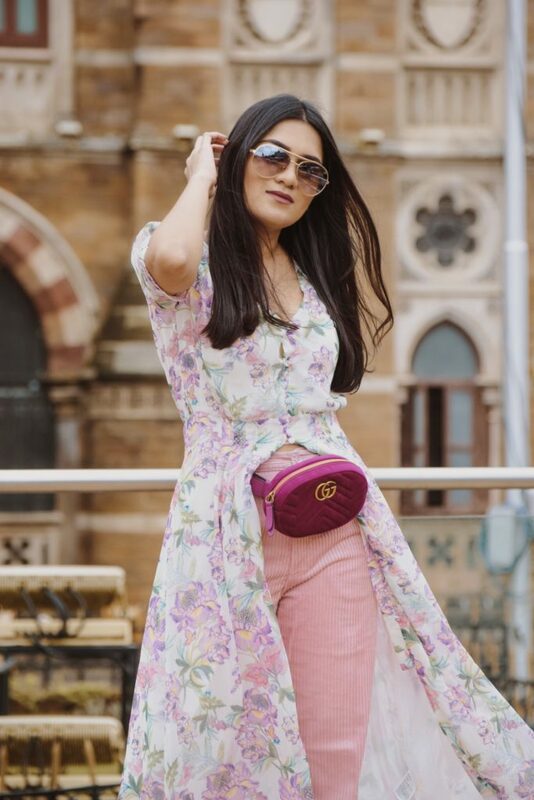 Wearing a light summery shirt dress with denims has become quite a staple for few. Creating a fresh, easy to wear & out of box styling is something I constantly strive towards. 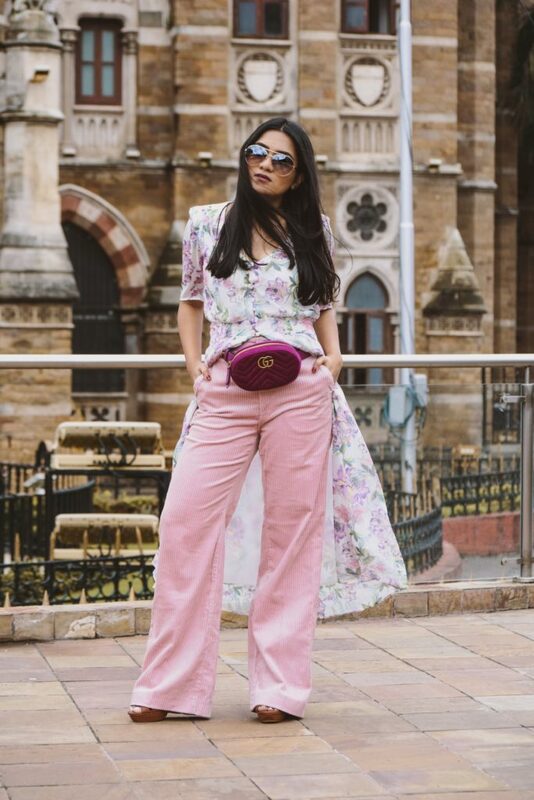 As basic as this pairing looks, its the corduroy and floral elements which are the highlight of this look. 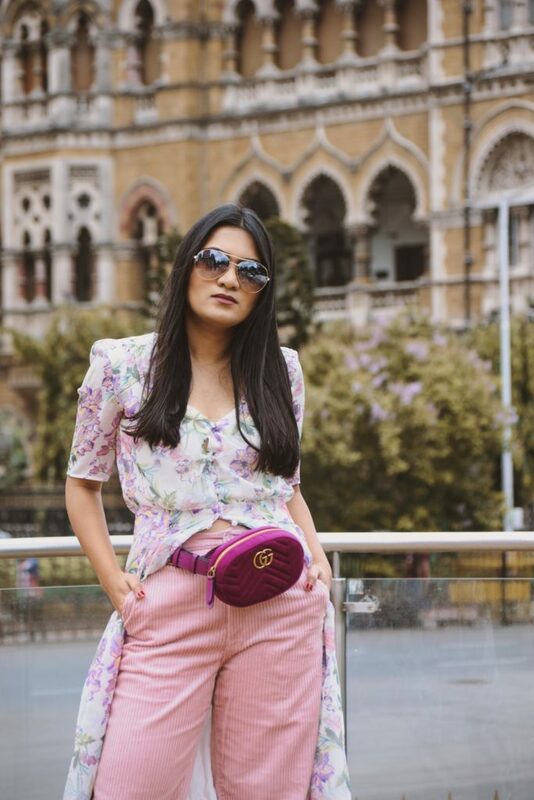 Perfect for the transitional season, pastel florals reminder of the previous season while Corduroy a staple for the upcoming season. Adding to the carefree vibe of the look I wore my belt bag and threw on a pair of aviators.